Our new friend Andrew Wheeler (Acting EPA Administrator, BFF & former lobbyist of the coal industry), has just announced a new plan to cut out all the useful parts of our existing methane protections that have been in effect for over a year. This proposal will exacerbate climate change and put more smog-causing pollutants into the air all while putting a few more dollars in the pocket of the oil and gas industry. It would allow companies to easily put off things like leak detection and repair requirements. Tell the Trump Administration that young people won’t stand for this attack on our future. I am writing today deeply concerned about the proposed weakening of our existing methane protections. As a young American, this proposal directly puts my future in danger by failing to protect our communities from methane pollution that exacerbates climate change. This proposal would allow companies to easily avoid crucial leak detection and repair requirements. 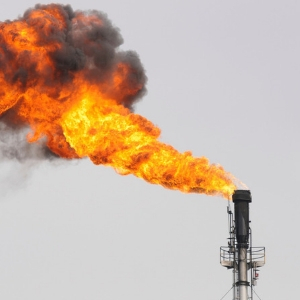 That means more dangerous methane will be seeping into the air we breathe, causing health problems for thousands of Americans and putting our planet further into climate chaos. We cannot put the bottom line of the oil and gas industry over the health and safety of our communities.